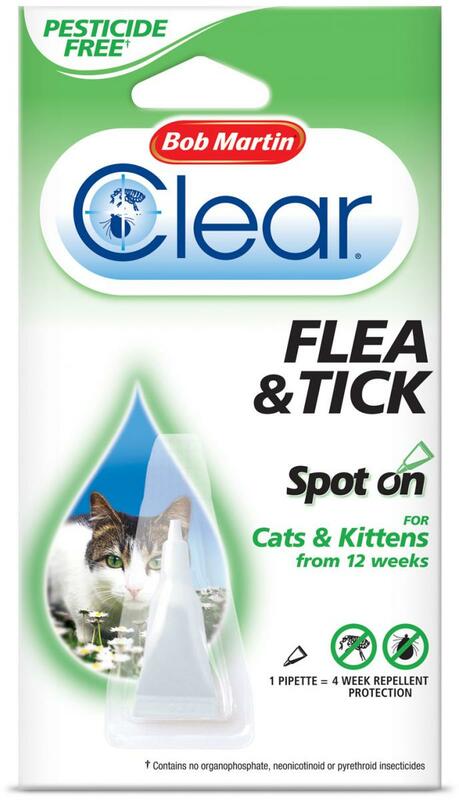 For cats and kittens from 12 weeks old. 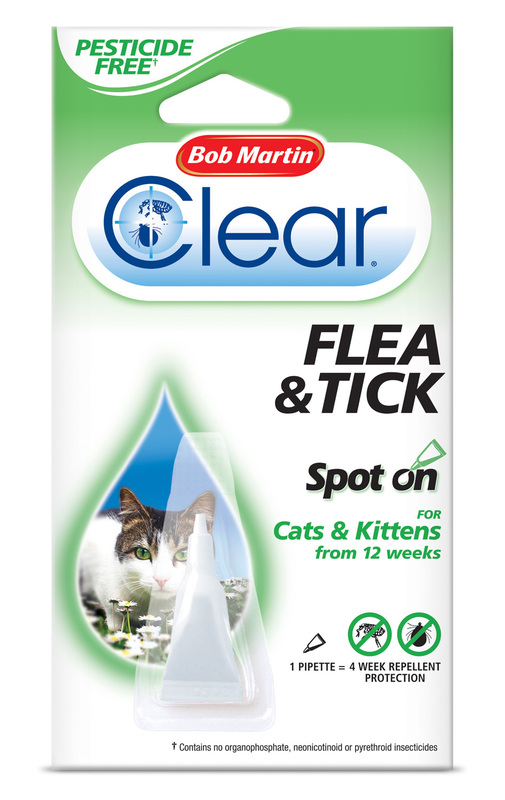 Bob Martin Clear Spot On is the extremely safe, simple and effective way to treat and prevent flea infestation on your Cat or Kitten. Each treatment of this easy to apply, odourless solution helps to repel fleas from your cat. Take one tube from the pack and snip the end off the nozzle. Part your cat’s fur at the nape of the neck, between the shoulder blades. 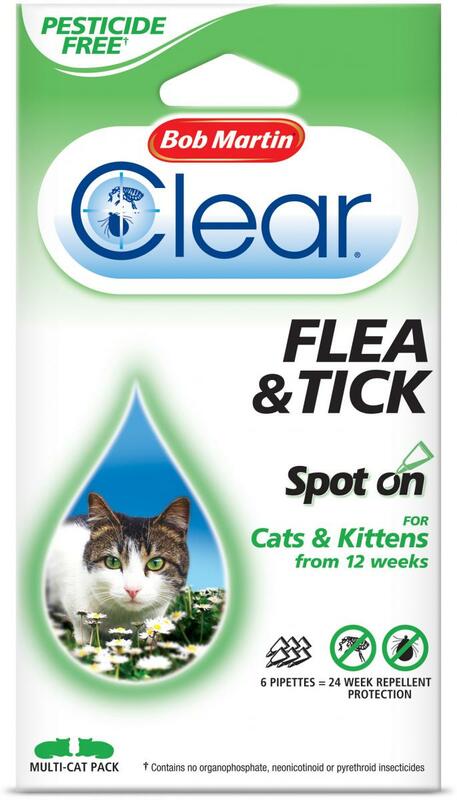 Apply all the solution directly onto your cat’s skin. Avoid rubbing the solution into the fur as this will reduce its performance. Avoid contact with eyes. 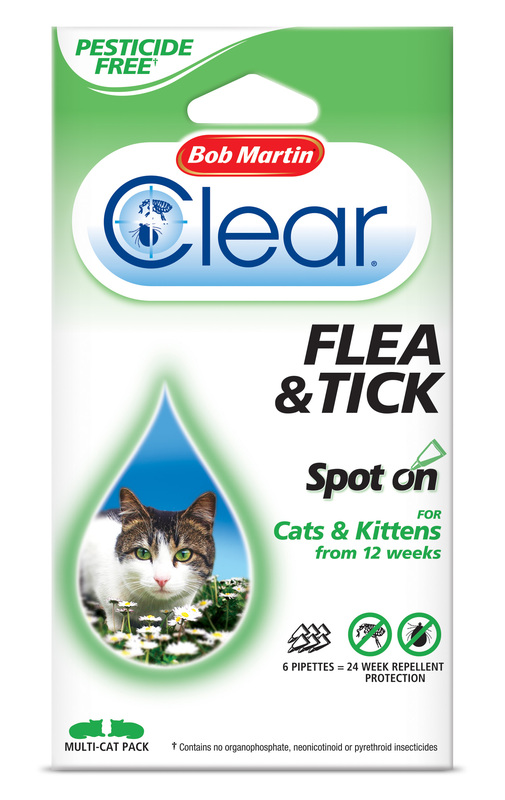 Below are some recent questions we've received regarding Bob Martin Clear Flea & Tick Spot On for Cats, including answers from our team.